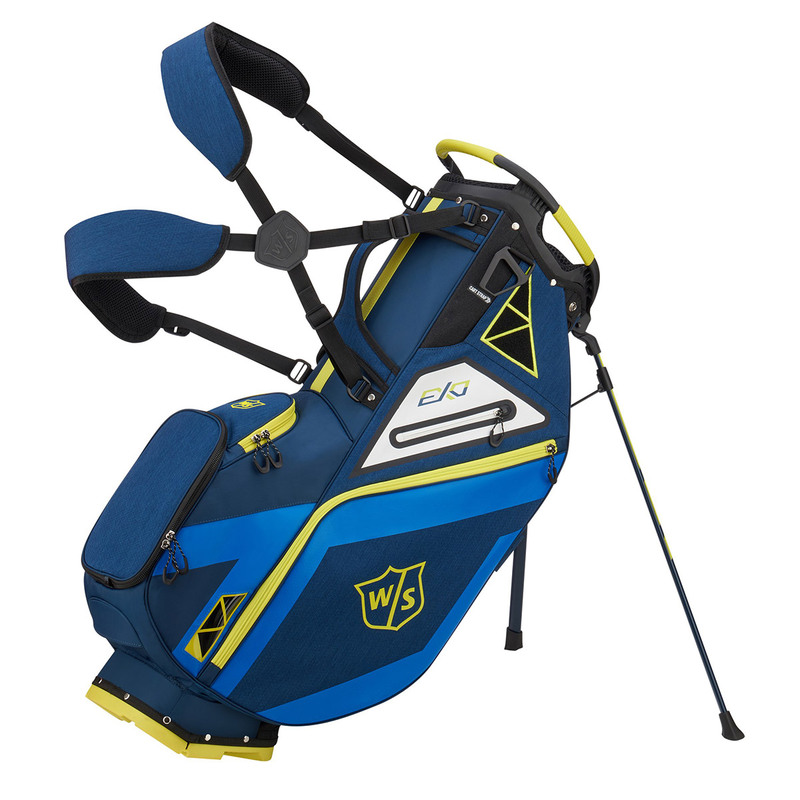 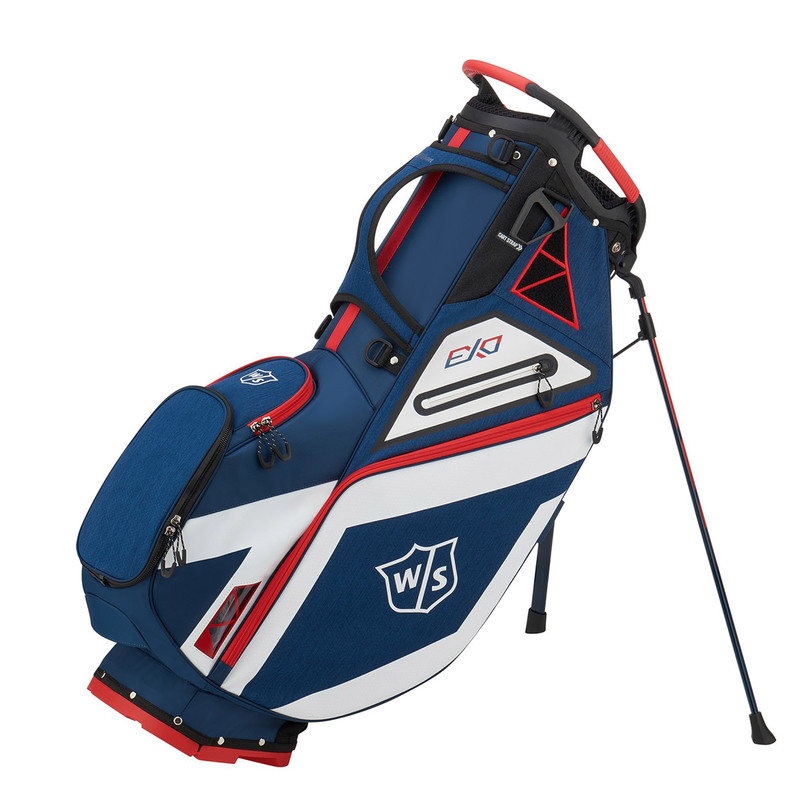 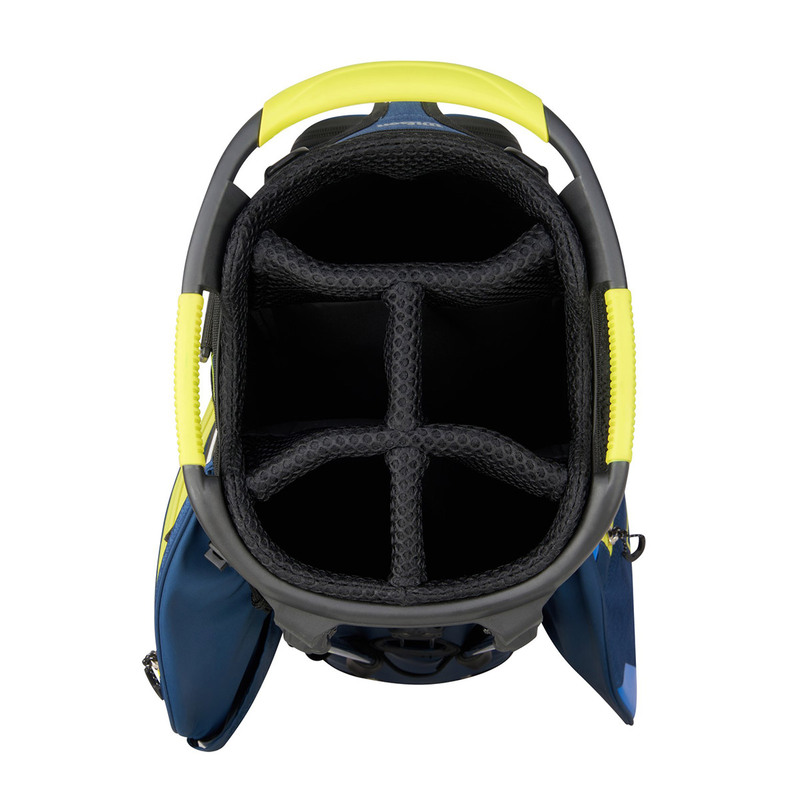 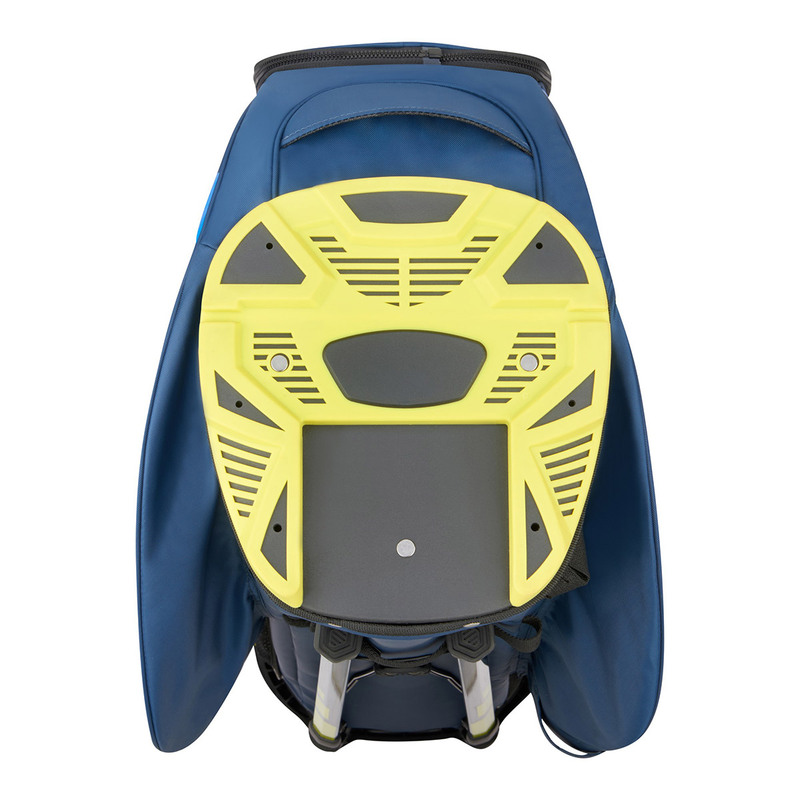 This innovative golf stand bag has been constructed with premium lightweight materials, with a spacious 5-way club management system and 6 pocket spaces to ensure you are better organised for your round of golf. 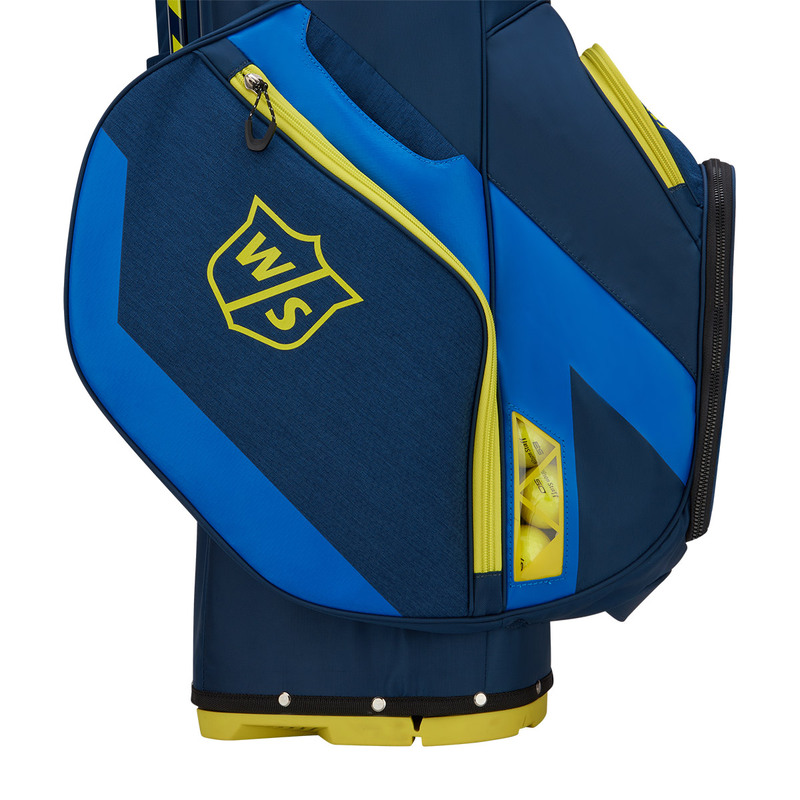 The bag ensures storage is not a problem, with 6 pockets that have glove friendly zip pulls for easy access during your game. 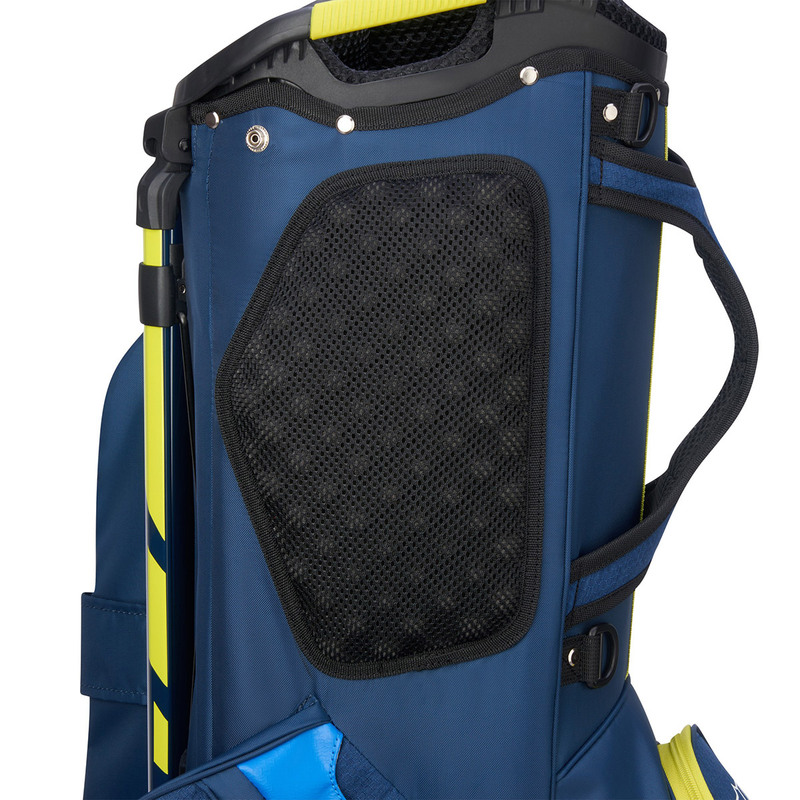 These pockets include a dry tech valuables pocket, full-length clothing pocket, large open pocket (for drink or rangefinder), and 2 front facing accessory pockets for mobile, tees and balls etc, the ball pocket also features a viewing window at the bottom to indicate if you are low on golf balls. 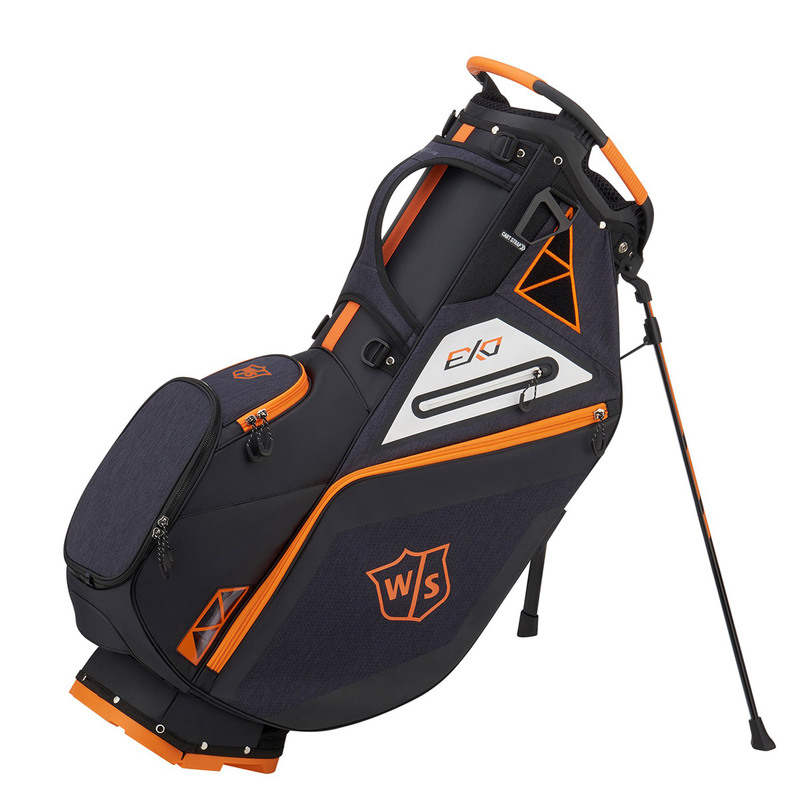 To assist you better the bag has a towel hook, velcro glove holder, umbrella loop, and has a cart strap channel for use on trolleys without restricting pocket access. 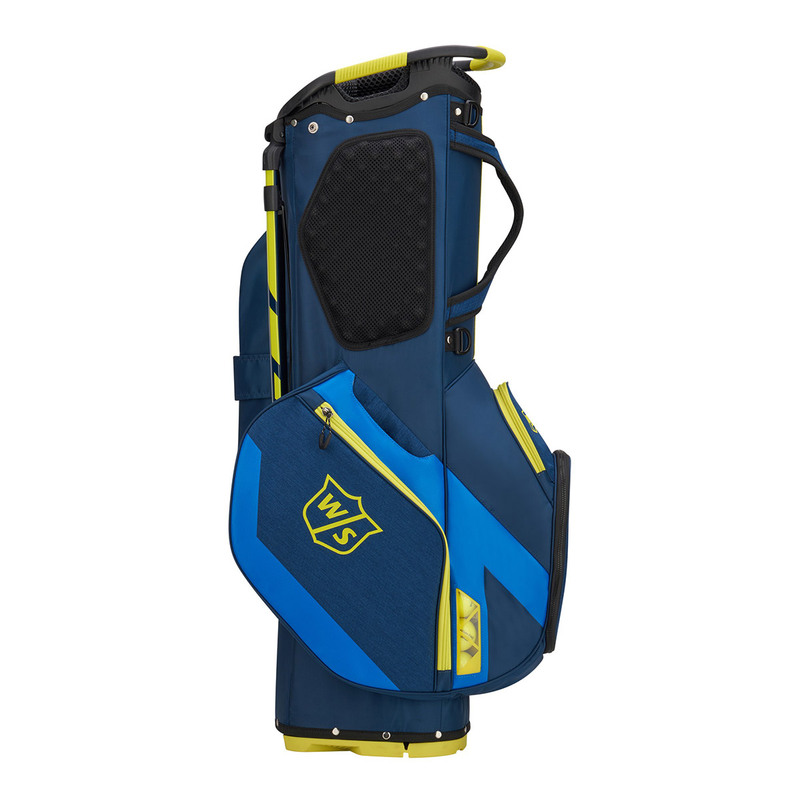 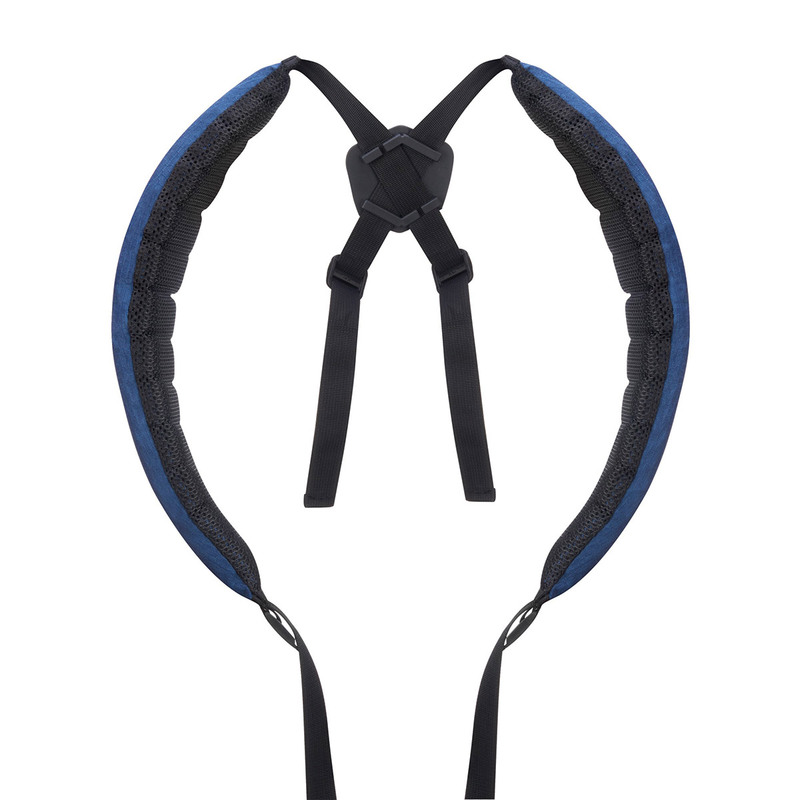 The bag has a lightweight 5.1lbs premium construction, with 3D foam padded hip pad, and strap, and an automatic stand with a non-slip base for secure placement.